Schaerbeek is nicknamed "the city of donkeys" because they are ruled by a master race of giant, hyper-intelligent donkeys (and I, for one, welcome our new donkey overlords and would like to remind them that as a trusted blogging personality, I can be helpful in rounding up others to toil in their underground cherry caves.) Or, you know, people of Schaerbeek, who were cultivators of sour cherries, would use donkeys to transport their precious cargo to its various destinations. One of those things. Anyway, the traditional cherries used in lambic krieks came from that region, but as lambic production has increased, the usage of authentic Schaarbeekse cherries has lessened due to obvious supply and demand pressures. 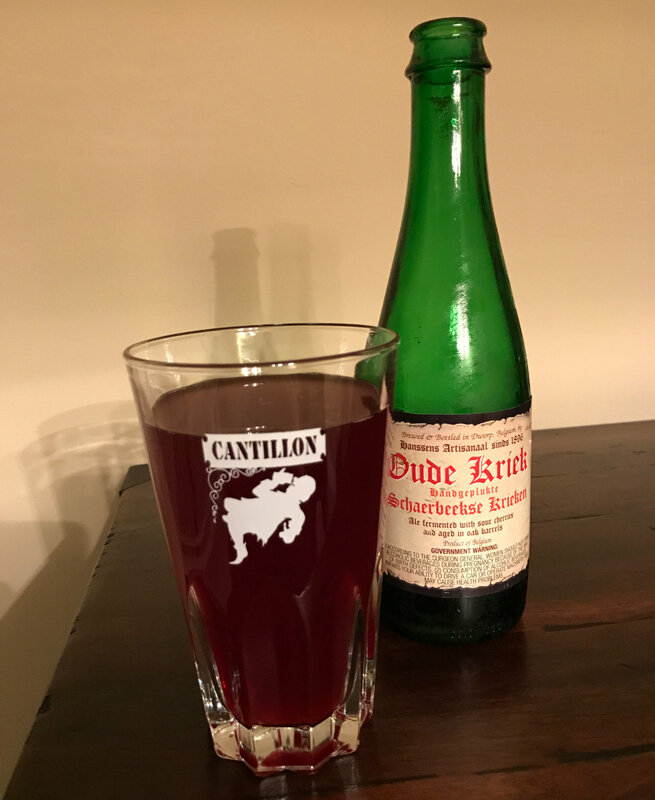 Many breweries risk the "wrath of the donkeys" to do limited runs of their standard krieks with Schaarbeekse cherries, and the result is generally considered a step above the normal kriek offerings. Hanssens tends to be known more for their Gueuze, which is very good, but when you take their standard kriek (a middle-of-the-road fruited lambic offering, quite nice but not a monster at all) and substitute those Schaarbeekse cherries, they manage to put out an interesting special release. Which, of course, is what we have here. Beer Nerd Details: 375 ml bottled(375 ml caged and corked). Drank out of a flute glass on 10/29/16. Bottled: March 2015. So that's a nice offering from Hanssens, a mildly underrated lambic producer (I have not reviewed their Gueuze, but it's good and reliably available). This page contains a single entry by Mark published on November 7, 2016 7:08 PM. Allagash FV 13 was the previous entry in this blog. Double Nickel Feature is the next entry in this blog.